Although the majority of players these days hit many shots with an open stance, tennis is still a sideways sport. The best players have their shoulders sideways (or even past sideways) to the net just prior to starting the forward part of the swing. This applies to all shots, even the serve. 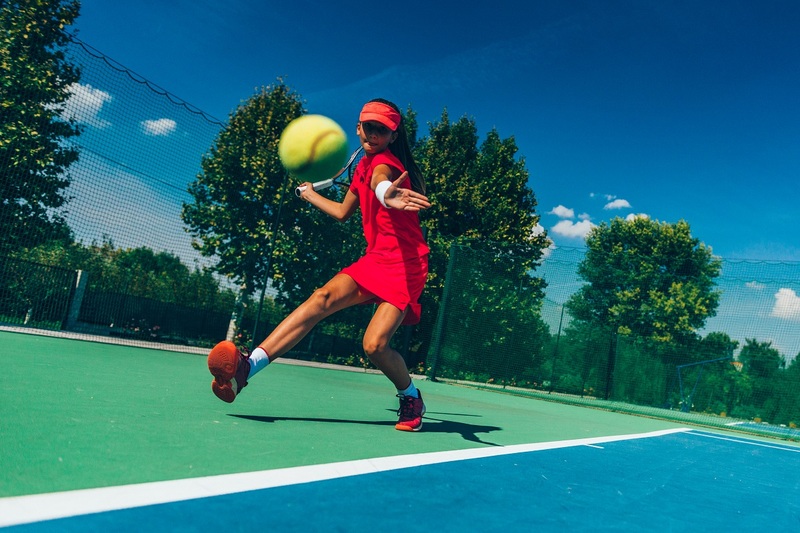 The best servers tend to be in a very exaggerated sideways position prior to the forward swing, enabling the shoulder rotation to add speed and spin to the serve. The sideways position also helps the player control the direction of the shot. If a player opens the shoulders a little early, the ball will go more towards the direction the shoulders are turning. If they hold the shoulder turn a little longer, the ball will go more in the direction the front shoulder is pointed towards. Remember to use the shoulder rotation to help with racquet preparation as well as the forward part of the swing. This will maximize the speed, spin, and control you have on all of your shots.